The innovative collaboration between non-profit operators and the County of Riverside looks to responsibly meet the needs of the community. This is another great example of the community coming together for the benefit of children. Village On Grand Lakeland Village Community Center will soon be the home of It's Bigger Than Sports as we rehabilitate the fields integrating sports, art, and other community services alongside Studio 395 Foundation, Inc.
A grand accomplishment for Studio 395 & the Village on Grand!! An artists’ co-op will convert an unused Main Street property into a vibrant space for art and performers. Nineteenth century poet and artist William Blake used the phrase “doors of perception” as a metaphor for experiencing a reality beyond the commonplace. A Lake Elsinore artists’ cooperative is literally using doors in an effort that could alter perceptions of the city’s downtown Main Street corridor. The group wants to convert an unused, mostly vacant city-owned dirt lot at the street’s south end into a vibrant arts colony. Lake Elsinore, CA: STUDIO 395 Foundation, Inc., a local non-profit arts cooperative, and the City of Lake Elsinore were awarded a 2016 Our Town grant from the federally funded National Endowment for the Arts. 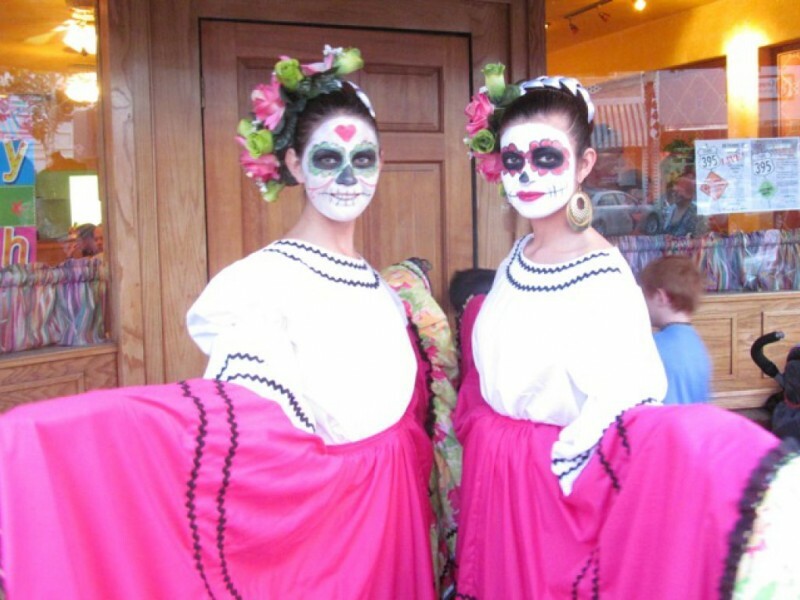 This Creative Placemaking grant funds projects that represent the distinct character and quality of their communities with a vision for enhancing the social and/or economic livability of the community, that support the integration of arts and design into the fabric of civic life and are a creative approach to addressing community challenges or priorities. 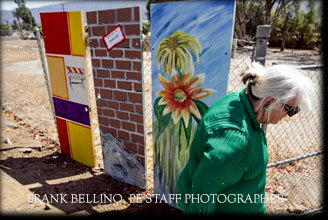 Lake Elsinore, CA: All Artists needed to set up for our first "roll out" weekend of Artists on the Street. This is a casual event that will get some press coverage. We anticipate that local restaurants will be busy because of the Memorial Day holiday. 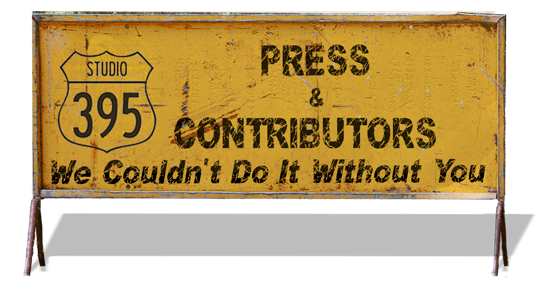 Any artist can show art but only artist with a street busking permit can sell their art. Public Art from Studio 395!! 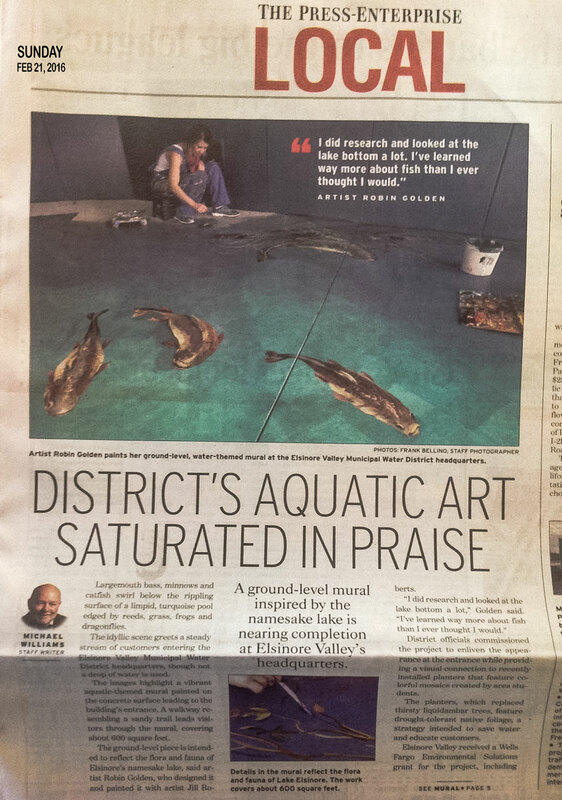 LAKE ELSINORE: Aquatic mural greets water district customers. 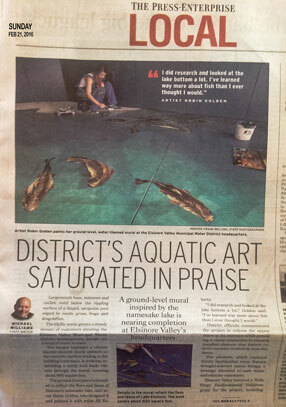 A ground-level mural inspired by the lake is nearing completion at the entrance to Elsinore Valley’s headquarters. "It’s like whimsical and fun, and it kind of brings a little personality to an otherwise fairly institutional-looking building," Golden said of the piece. "It’s water, an important aspect of our community." LAKE ELSINORE: Artist Robin Golden, 59, and her husband Jeff Morris, 60, stand next to some of the crane art they designed and built along the Collier Avenue median in Lake Elsinore, on Tuesday, Feb. 2. Lake Elsinore is upgrading the appearance of the city to make it more welcoming to visitors. 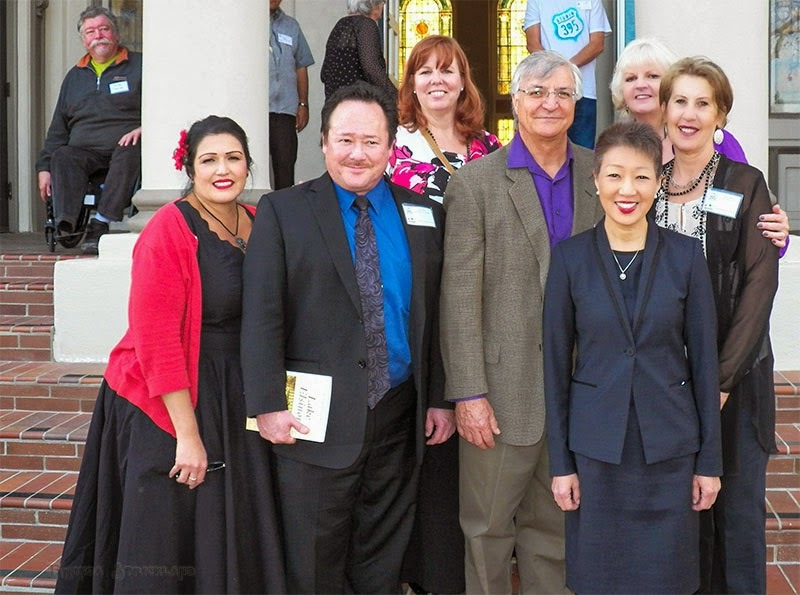 Studio 395 Board poses with NEA Chair Jane Chu in Front of the Lake Elsinore Cultural Center NEA Chairman Jane Chu Visited Riverside County which included a public event in Riverside and site visits in Lake Elsinore and Corona. All of our incredibly talented artists/friends/volunteers who have been so equally incredible in giving of their talents month after month at LIVE ART! And in all of the myriad of events and projects we've managed to cook up as well as everyone in & around Lake Elsinore who has been so enjoyably generous, fun & supportive of all of these crazy yet really creatively determined efforts! There's more of that to come! Thank you!! (Insert small respectful bow here). Post by Lake Elsinore Chamber. "The City of Lake Elsinore" (Trailer) from Angler Chronicles on Vimeo. Published: Nov. 8, 2014 Updated: Nov. 9, 2014 2:03 p.m. The Wreck bar in Lake Elsinore. 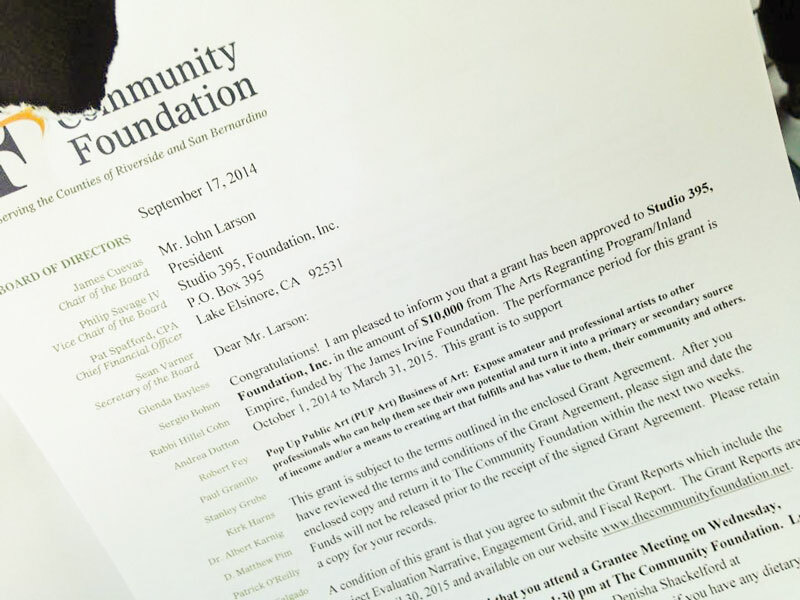 Congratulations to our superb STUDIO 395 Grant gang on obtaining a $10,000 grant from the Community Foundation! More news on this to come! 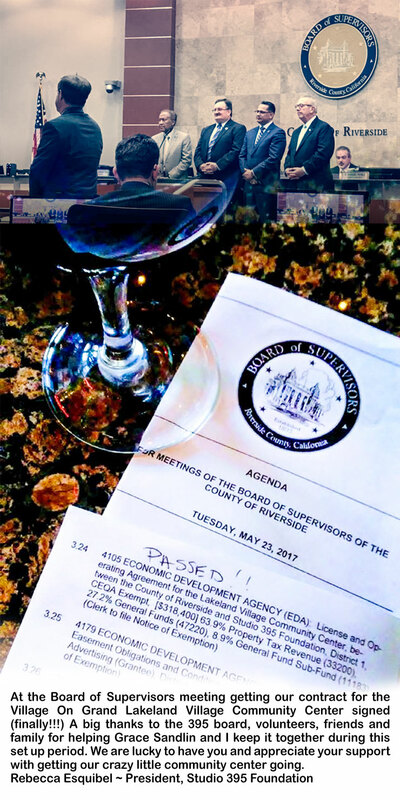 Great news for our local Arts community! LAKE ELSINORE, CA. 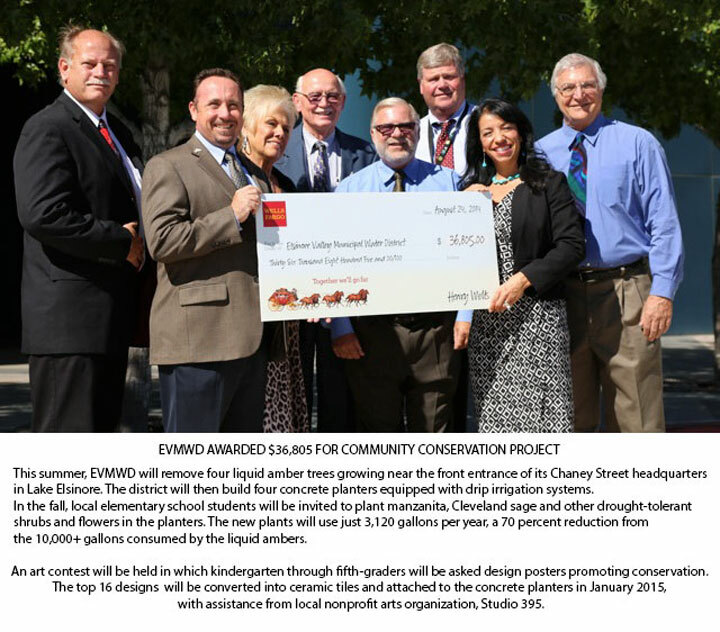 – With help from local students and a $36,805 Environmental Solutions grant from Wells Fargo, the Elsinore Valley Municipal Water District will replace four water-guzzling liquid amber trees at EVMWD headquarters with an educational garden designed to inspire residential water conservation. 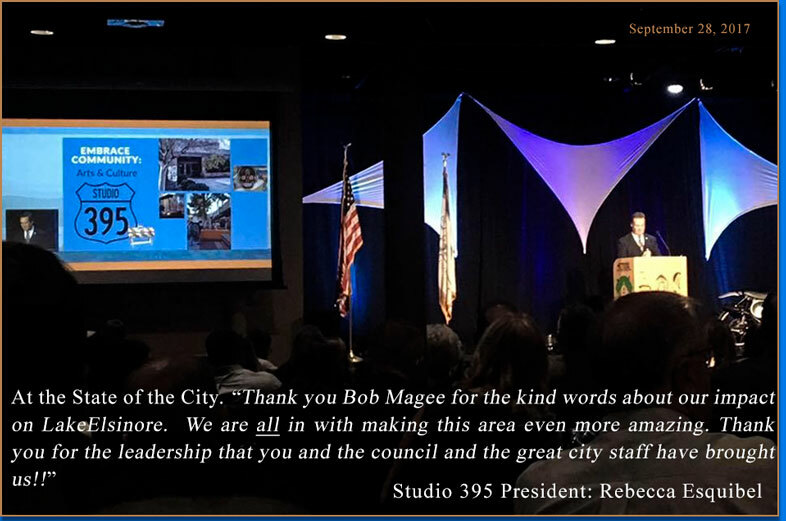 "Good Evening Madame Mayor, Council Members, City Staff and my fellow citizens of Lake Elsinore. 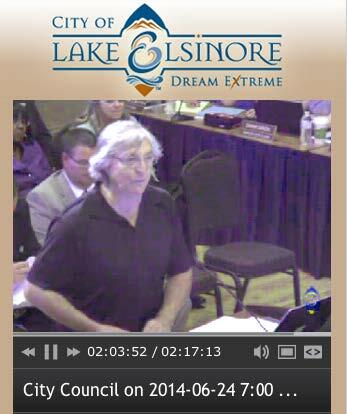 My name is John Larsen and I am here tonight representing the STUDIO 395 Foundation, which is based here in Lake Elsinore and of which I have the happy pleasure of serving as board president." 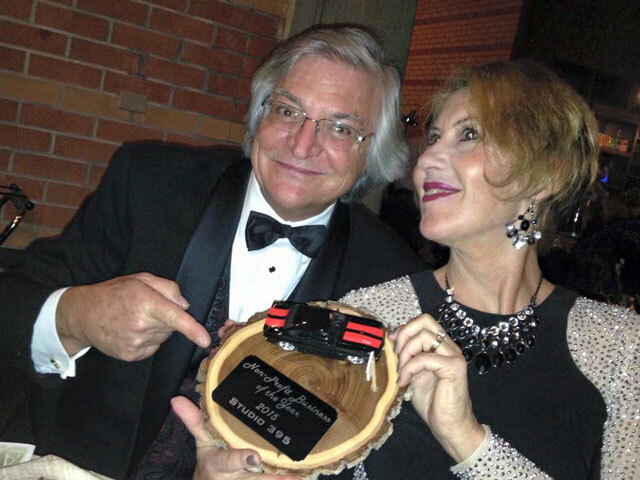 "For those unfamiliar with STUDIO 395, simply put - we are a collective of professional and non-professional artists and the folks who the support arts - dedicated to bringing the enrichments or Art and Culture to our community and the local region." Artists from Lake Elsinore's "Studio 395" install mosaic tiles on safety bollards along the Lake Elsinore Riverwalk earlier this month. Nanci McGraw, left, applies quick-setting cement to a tile as Grace Sandlin, right, installs a tile. With several hundred people pouring onto Main Street in downtown Lake Elsinore late Saturday afternoon for the merchants along the historic route were all smiles. “In the 10 years that I’ve been here, this is the busiest night I’ve ever had,” said Vicki Mora, owner of Mora’s Antiques on Main Street. 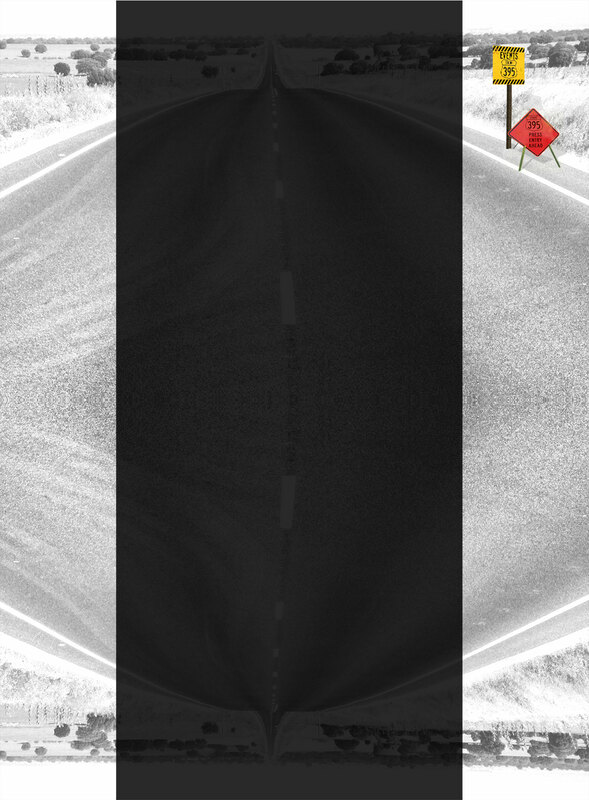 Images and coding is the property of Studio 395 and may not be copied without the express written permission of Studio 395.